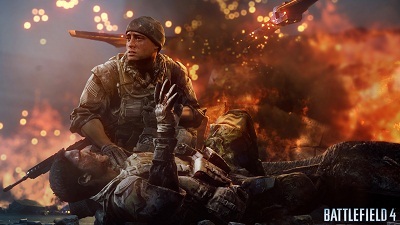 New Battlefield 4 promotional material reportedly spotted at GameStop indicates that the game will feature the return of Commander mode and the ability to play as three different factions in multiplayer. Battlefield 2’s Commander mode, which was absent from the last game in the series, gives one player per side a RTS-style overview of the map and control of various assets such as artillery strikes, vehicle and supply drops. The GameStop poster in question, which is viewable in the video below, also suggests that playable online factions will include Russia, China and the United States.